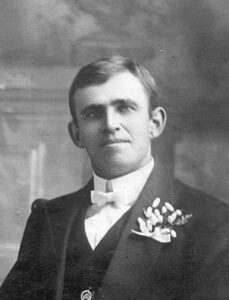 Friedrich Hermann Theodor (Ted) Briese was born at Jindera on 28 August 1885, the eldest of eight children born to Albert and Emilie Briese. He grew up on the family property “Springhurst”, just south of Jindera and attended St John’s Lutheran School in Jindera. Like most rural boys at that time, once he had completed primary school, he left to help on the family farm. We know little of his early life, though he did play cornet in the Jindera brass band. 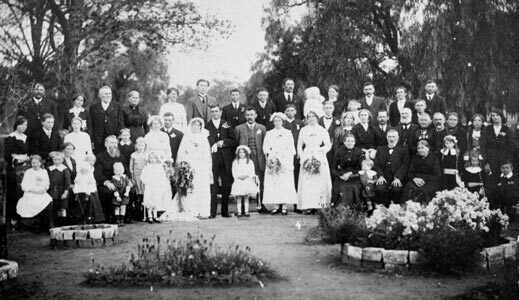 On 9 September 1915, he married Dorothea (Ettie) Blaess, the eldest daughter of the pastor to St John’s Lutheran Parish at Jindera. She was born in Normanby, New Zealand, and had arrived in Jindera some nine years earlier with her family. Ted was 31 and Ettie 21. After their marriage, they lived with Ted’s parents on the homestead block of “Springhurst” for three years, moving in 1919 to a 776 acre block of land that belonged to the Brieses, 5km north east of Jindera in the direction of Table Top. Here, they built their own house and named the property “Lylow”. Ted set about clearing the land and developing the farm for cereal cropping (wheat and oats), grazing sheep for wool and meat, and keeping a few cattle for meat and dairy products. Sheds, a dairy and stockyards were built and fencing erected. They also established a large fruit orchard and vegetable garden and developed substantial ornamental gardens around the homestead. 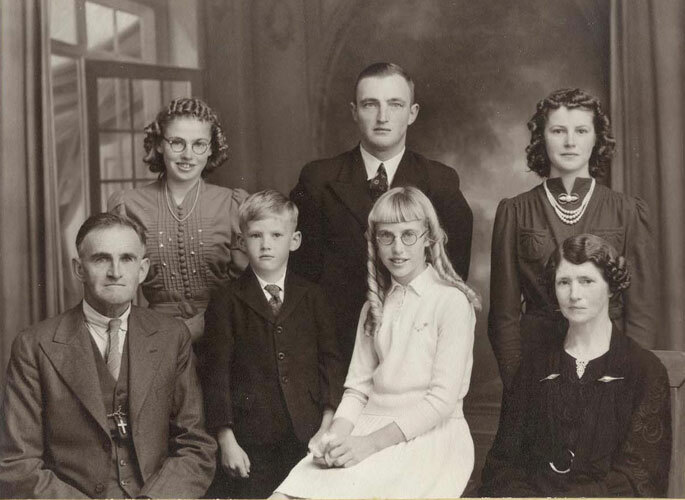 As they established and farmed “Lylow”, Ted and Ettie Briese had five children; Haydn (1917), Beulah (1921), Joyce (1925), Ruth (1929) and Erwin (1934). Ted’s life revolved around the farm, the church and the social network of the family and relatives in Jindera. Ted was well-known around Jindera riding his black horse “Beauty”. The gardens and tennis court at “Lylow” became a focal point of social activities for the extended Briese family. 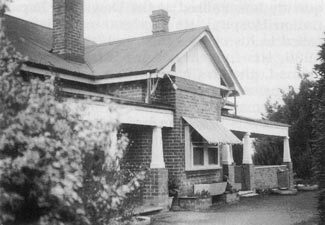 On 3 December 1951, he set out on an innocuous trip with his friend Eddie Kohn to get a truck load of pine flooring boards from Narrandera for his new woolshed. While returning, not far from Urangeline, the load shifted when they swerved to avoid a pothole and the truck overturned and burst into flames. Although he was thrown clear, Ted tried unsuccessfully to free his friend who was trapped beneath the burning truck. He received terrible burns and died in Albury Hospital the next day at the age of 66. Ted was buried in St John’s Lutheran Cemetery, Jindera. At the Coroner’s Inquest, Ted’s attempts to save his friend’s life were described as “heroic”. Ted Briese’s life is best summed up by the report of his funeral service in the local newspaper; “with the death of Mr T. Briese, one of the best known farmers in the Jindera district was removed. He was born in Jindera, where he spent all his life. He was of a kind and quiet disposition and will long be remembered by his acts of kindness and help to others”.